The Client business has expanded substantially and has obtained a second round of equity funding and is seeking to expand business further. 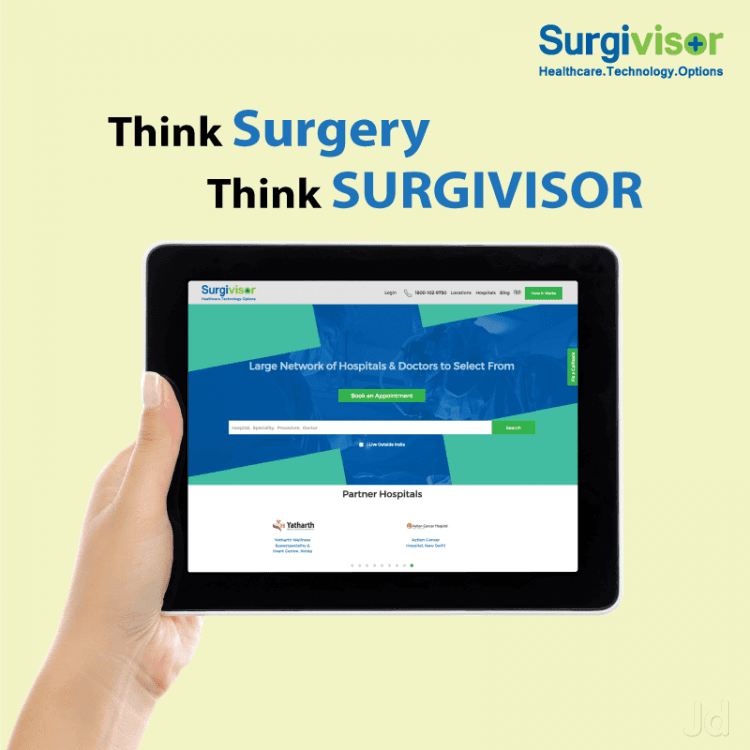 Surgivisor provides a bridge between patients and hospitals, helping users find the right facilities and doctors for their surgeries. They needed Navyug Infosolutions to design a user-friendly website and app, organizing all relevant information via an aesthetically pleasing layout. Navyug has maintained communication with us and asked relevant questions, which led to an optimal result. Hospitals & Doctors can be compared on various aspects.